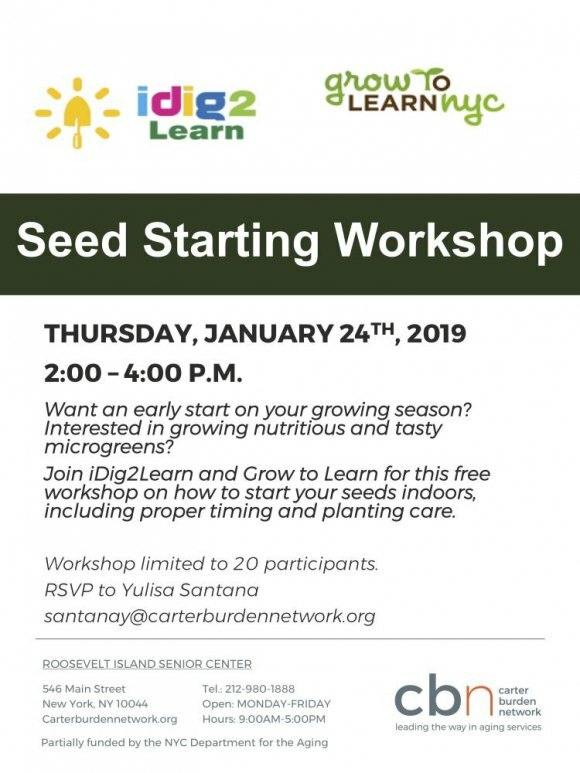 Best known for ambitious projects that teach children about nature with a hands-on approach, Roosevelt Island based nonprofit iDig2Learn brings an all new Seed Starting Workshop to the CBN/RI Senior Center. There are only 20 spots available. RSVP to Outreach Director Yulisa Santana (santanay@carterburdennetwork.org) to claim yours. The program takes place on January 24th between 2:00 and 4:00 at the Roosevelt Island Senior Center, 546 Main Street, Roosevelt Island.